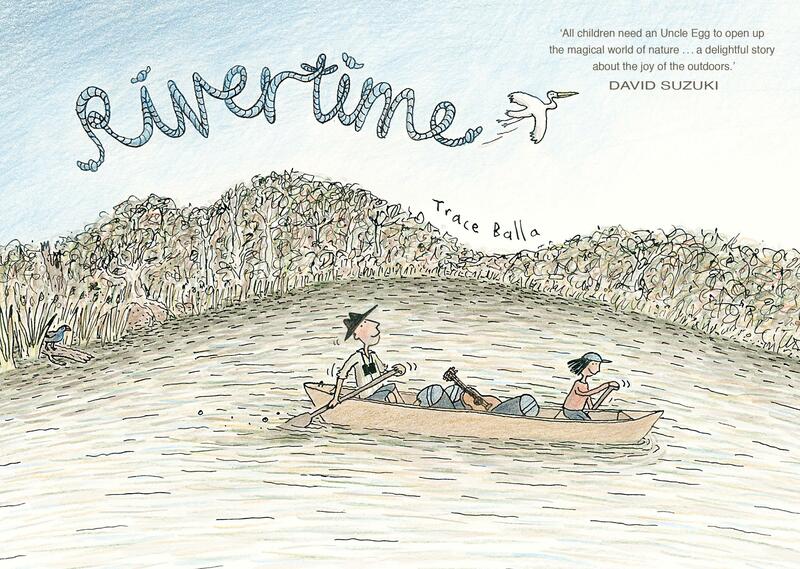 A tender and beautifully illustrated tale of a boy and his bird-watching uncle, on a paddling trip on Australia’s Glenelg River. A story about slowing down, growing up, and connecting with the land and its creatures. More graphic novel than picture book, this story for older readers is about tuning in to the rhythms of nature and appreciating the cornucopia of birds and wildlife that can be discovered. When 10-year-old Clancy’s Uncle Egg takes him on a boat journey on the Glenelg River he is initially worried about missing his hi-tech toys, but he soon learns to tune in to ‘rivertime’, relax and enjoy nature. The simple line drawings are perfect for this gentle journey, with illustrations of numerous birds and animals labelled with their names and sounds. Perfect for those interested in discovering nature aged 6 to 10.